Ipswich is the county town of Suffolk, a town that makes the defensible claim of being the oldest in the country. Ipswich has a long and varied history, its beginnings can be traced back to early Roman settlers. Today, Ipswich is a prosperous town that many successful businesses are fortunate enough to call home. We feel that despite Ipswich’s long list of merits, it is often overlooked by those wishing to establish a business in the eastern region. Perhaps this is due to Ipswich’s classification as a town as opped to a city, or perhaps Ipswich is the location-equivalent of a shy, modest person who prefers to keep quiet about their achievements. 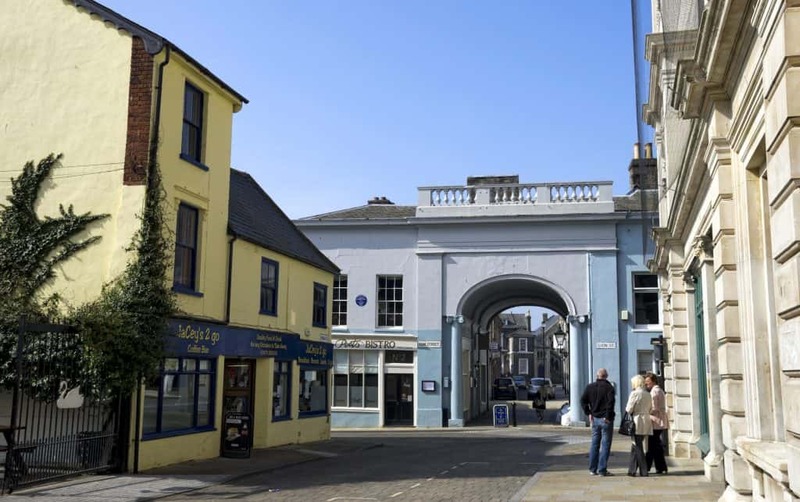 Either way, the aim of this blog is to shine the spotlight on Ipswich for a moment, bringing all of its commercial qualities out into the open. Ipswich is situated close to the A14 and the A12; it also a stop on the Great Eastern Main Line from London to Norwich. The town is both easily accessible from most areas in East Anglia, as well as being relatively close to London. At the time of the 2011 Census, it was the fourth-largest urban area in the United Kingdom’s East of England region and the 38th largest urban area in England and Wales. The entrepreneurial benefits of being situated in a prime location are obvious, particularly in terms of convenience for your clients or customers. Ipswich values the contributions that new businesses make to the local economy. 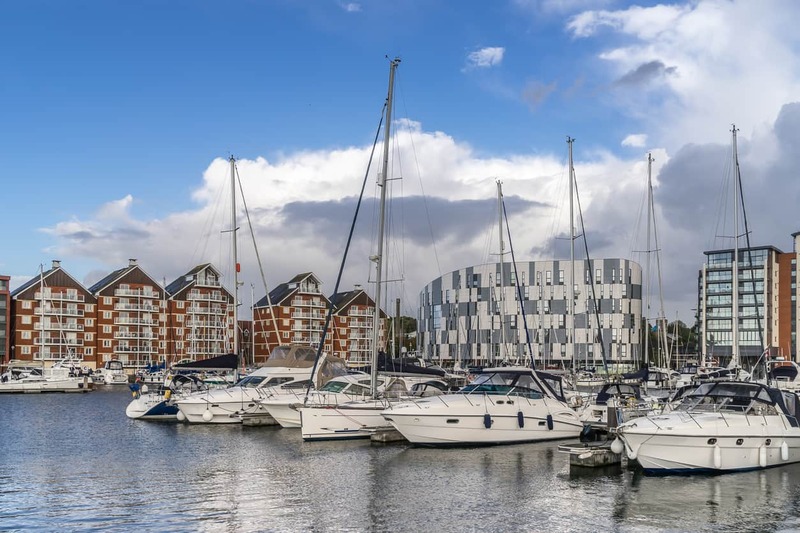 This is why a number of initiatives to encourage and support new entrepreneurs have been set up in the Ipswich area, many of which are located around the Waterfront regeneration area. Located in Felaw Maltings, the Suffolk Chamber of Commerce offer advice and mentoring for new businesses. Additionally — with the help of Ipswich Borough Council — retail start-ups with a town centre ‘test trader’ shop are available to potential entrepreneurs who want to trial their business plan for six weeks at minimal cost. Nearby on Bath Street, the IP City Centre Business Innovation Centre offers start-up businesses small serviced office suites with shared meeting and conference facilities or, as an alternative, virtual office hosting. The James Hehir building located in the Education Quarter — on the northeast quay of the waterfront — is home to the Eastern Enterprise Hub. It includes the PeterJonesEnterpriseAcademy, the School of Social Entrepreneurs and the 5th Floor Business Club as well as providing enterprise support to the business community. The Ipswich & Suffolk Small Business Association (ISSBA) provides a forum for small businesses to guide and support each other. ISSBA also regularly holds meetings, events and exhibitions. Ipswich Borough Council has rolled out an Apprenticeship Brokerage Scheme to help make the process of taking on an apprentice a much easier one. The scheme is there to support the Council’s ambition to support job creation and increase the skills within the workforce. This means that within time, Ipswich will be an untapped source of workforce skills. The Suffolk Carbon Charter is an award recognising carbon reduction measures in Suffolk’s small and medium businesses. It allows Suffolk’s small businesses to communicate their environmental commitment with a clearly recognisable brand. With the environment being a topic on so many peoples minds at the moment, it is clear to see why it would be advantageous to have your business recognised as an environmentally friendly one. Starting a business in Ipswich will give you the opportunity to brand your business as a green business which will undoubtedly be a selling point to many potential customers. MyGO is the first youth unemployment Centre in the country. It’s funded through the Ipswich City Deal and aims to support young people (16-24) who are seeking work. The centre officially opened on 4th December 2014 in Ipswich and brings employment support services for young people under one roof, such as Job Centre Plus, training providers, and charities. The centre works directly with local employers; companies who are interested in nurturing young talent notify the MyGO team of any job opportunities available, essentially giving young people who use the centre ‘first refusal’. This centre isn’t just a haven for young people, but local businesses too. MyGo state that: “We work with businesses to fully understand their recruitment needs and the type of skilled staff they are looking for. We then develop tailored training for the job seekers we work with to make sure they’re the perfect fit”. Recently, Ipswich was named by Informi as the best place in the UK to start a new business. The Independent named Ipswich as the seventh best place to live and work in England. If this isn’t proof enough of Ipswich’s effectiveness as a catalyst for business success, you might be surprised to learn that Ipswich is actually home to not one, but two Top 100 businesses. In fact, it is more accurate to say that Ipswich is home to two Top 50 businesses: the Marriott Motor Group boasting a position of 44 and John Grose Group a position of 39. If you’re thinking about setting up a business in Ipswich, please get in touch with our local Ipswich office. We offer free consultations and can help you set things up properly from the start.